Everybody goes through stuff in their lives, both personally and professionally, and some more with complicated profile than others. A famous Canadian journalist and television personality, Leslie Roberts, was born with the journalism in his blood. Coming from a family of journalists and broadcaster, Leslie grew up with great responsibility. The 'Man of the Year’ award-winning TV host has been successful to establish himself as one of the prominent journalists in the field of journalism. Well, if you are inquiring to find out more about his life then follow us throughout the context. Know About Leslie Roberts Career Heights! Leslie, at the age of just eighteen, began his career in journalism by grabbing the opportunity to intern in the newsroom at Montreal's CKGM radio. He made the jump to television in 1985, when he was offered a job as a medical correspondent and spent 12 years at CTV Montreal. 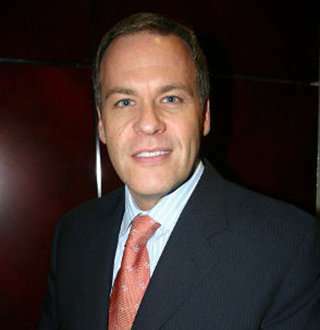 In 1995, Leslie moved to New York City to work as a reporter in Fox News where he hosted an entertainment show called ‘A Current Affair.’ Then again after three years, he returned to CTV Montreal as a full-time anchor. In 2001, Leslie joined the Global Toronto team. But in 2015, he resigned from the Global News due to a conflict of interest and after finding out that Leslie had equity in Buzz PR, a public relations company. Through extensive journalism career, Leslie has grabbed a whole lot of prestigious awards. In 2010, he won the Consumer’s choice ‘Man of the Year’ award. He was also a part of the team which won prestigious Canada’s Best Newscast from the Radio & Television News Directors of Canada. In 2011, he got nominated for the Gemini Award for his work as Canada’s Best News Anchor, and in 2013, Leslie along with the Global team accomplished the Best Newscast Award from the Canadian Screen Awards. Leslie has established a massive success of height in his journalism career and earns a significant amount from his works. However, the details of his exact net worth have remained a secret so far. The award-winning journalist Leslie Roberts was born on 28 June 1962 in Montreal Canada and raised in a family full of journalists. His great-grandfather, grandfather, father were also in the field of journalism. His mother was an assistant to a federal MP. His parents raised him to be a professional journalist like his former generation. His parents, his father, and mother both suffered from health issues. His father and died of cancer whereas his mother died from the liver failure. Sad as it might sound, this might also be a contributing factor for Leslie to be concerned about health and maintain a fitness program. Leslie Roberts Proud Gay Community Supporter! Leslie supports the LGBTQ community and also voices out for their rights. Back in 2017, he posted a tweet encouraging the Huffington Post stating that for kids, gay marriage is no big deal and there is faith in the next generation. Also, later in, the same month, Leslie shared a tweet saying that the international community must react to attacks on gay men in Chechnya. Leslie Roberts Is Happily Married Despite Divorce Claims From Wikipedia! Canada’s one of the best news anchor, Leslie Roberts, personal love life has had some ups and downs which he was unable to resolve. Leslie was married to a CTV Montreal assignment editor, Amalia Fernandez. They have been in a romantic relationship together for a long time. They have a daughter named Lauren Roberts who was a producer at CTV’s eTalk and resigned in 2016 to pursue her dream of acting and writing. Leslie and his wife Amalia both are passionately fond of their adult daughter Lauren. There was no information available about Amalia and Lauren but back in 2013, Leslie, in one of his tweet, mentioned about his daughter; he stated that he felt nostalgic about the first time he was buying a house as he alongside his daughter and fiances went shopping for a new one for her daughter in Toronto, Ontario. While his Wikipedia along with other sites reveal that he got divorced from his wife, the information isn't true and absurd as the married duo are flaunting their jubilant marriage in their social media accounts. It seems writing and authorism runs in the blood of the Roberts family. On 14 August 2018, Leslie's daughter, Lauren debuted as an author with an inspirational book about life essence such as kindness, love, and so forth. The book is entitled The Cat's Meow. Both of the parents were proud of her daughter's accomplishment as Amalia voiced her joy on a Facebook post. Her daughter, Lauren is married to a handsome fellow named Joshua Brott. They got married on 12 April 2014. She is currently the CEO of a company called LRO productions. Is ABC News' Matt Gutman Married With Wife Or Single, Is He Gay Or Straight?